Shopping in the Northern Panhandle of West Virginia for storage solutions, kitchenware, dorm bedding and home décor ideas? Get inspired at the Bed Bath & Beyond® store near you in Triadelphia; you’ll find it in The Highlands shopping center, which is just off I-70 and easily accessible from western Pennsylvania. 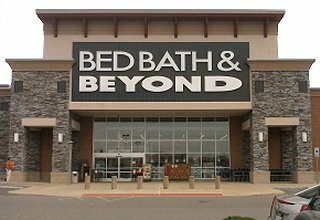 Enjoy great values on all the brands you love at this convenient Bed Bath & Beyond® store located at 555 Cabela Drive, Triadelphia, WV 26059; (304) 547-0346. Friendly and knowledgeable associates are ready to assist with your selections during store hours. When you need gifts, this store has more than housewares and home goods; get a nice gift for any occasion and use the gift registry feature to create a birthday registry, baby registry, anniversary registry or custom occasion registry.